Keith Barry is the world’s leading TV Hypnotist, Mentalist and Brain Hacker. As a world-renowned performer, Keith has toured for many years showcasing his mind-blowing skills in every corner of the globe. Keith has starred in over 40 international TV shows, his most recent being a huge hit in the UK with primetime ITV1 show “You’re Back in the Room”. He has appeared many times on “The Ellen DeGeneres Show”, “The Jimmy Kimmel” show, The Conan O’Brien Show and of course his own US TV series “Deception with Keith Barry” for the Discovery Channel. Keith recently returned from Sydney where he was in pre-production for Channel Nine’s version of “You’re Back in the Room” which will shoot in January next year and he is currently preparing to start on Season 2 of the show for ITV1, again hosted by Philip Schofield and which will air early in 2016. 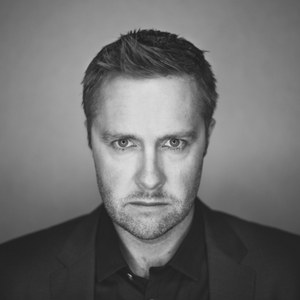 His TV series for The Discovery Channel in the USA “Deception with Keith Barry” is now being shown worldwide in over 110 countries along with his successful 2014 Irish tv studio based tv series “Brain Hacker”. Keith also returned as Chief Magic and Mentalist Consultant for the Lionsgate blockbuster “Now You See Me – The Second Act” which is a sequel to the huge box office hit “Now You See Me” . Keith worked on the sequel for nearly a year which was filmed in London and Macau. The original movie shot in New Orleans and Paris, had Keith as Chief Mentalist and Hypnotist Consultant. The Summit Entertainment action heist movie grossed over $360m and like the sequel stars Woody Harrelson, Morgan Freeman, Jesse Eisenberg, Mark Ruffalo and Michael Caine. Keith worked extensively with Woody Harrelson for both movies, in which Woody plays a mentalist. In the new ITV1 game show Philip Schoflied leads five strangers on simple challenges or dares to win money but the challenges prove tougher than they first appear after each contestant is hypnotised by Keith. This is the first hypnotism format on British Tv for several years and is built around Keith’s particular skillset. Keith has also been awarded both the prestigious Merlin Award for “Mentalist of the Year 2009” and “Best Magician in Las Vegas 2009” as voted for by the Las Vegas Review Journal. Keith’s TED talk has been in the Top 20 TED Talks since 2008 and it currently has nearly 8m views on their own website and over 25m views in total. Over the last 10 years Keith has also performed live in his own shows to over 1,000,000 people in such places as Las Vegas and the US, Australia and New Zealand, Canada, Spain, South Africa, Ireland and the UK. Also in the US, Keith had his own special on CBS “Keith Barry – Extraordinary”. This was CBS’s first magic special in years and followed on from the success of Keith’s 1st US TV show, “Brainwashed” which aired on MTV in 2004.